Good to see you again, I’m guessing you’re here because you’re ready to be a rebel and kick start your insta freedom with my no pressure photo challenge?… Yes, good stuff, I’m so excited you’ve joined me, you won’t want to miss this! If you need a little reminder about where this all began you can catch up here and then we’ll be good to go! I must admit that designing this challenge was actually harder than I thought because A) absolutely no part of me wanted to dictate to you what to share – I was actually ridiculously tempted to write ‘share whatever the f*ck you want’ everyday for a fortnight and be done with and B) judging by the feedback I’ve had, I know how important this freedom thing is for a lot of people so I wanted to set the tone just right. The important thing to remember here is this : this is a photo challenge with a difference, it’s not about improving your Instagram, taking better photos or building a bigger following, because quite frankly how many times can we be told that this is the way to win on social media?… Pah, enough of that already, I’m so tired of hearing those same old messages time and time again and I believe you are too. Instead, I hope you’ll use this as an opportunity to post and share whatever you want, whenever you want (even if it is peonies and pumpkins, I promise I won’t judge!) no overthinking, no curation, no pressure, no worrying about algorithms and NO people pleasing purely for the likes! I know It’s not gonna be easy because we’ve been constantly conditioned to beautify our feeds and there’s nothing wrong with sharing pretty pictures if that’s what floats your boat (this ain’t about making things ugly in the name of freedom) just as long as you haven’t fallen into the trap of following a formula that’s restricting your freedom because it’s probably not sustainable in the long run and it’s definitely not much fun. 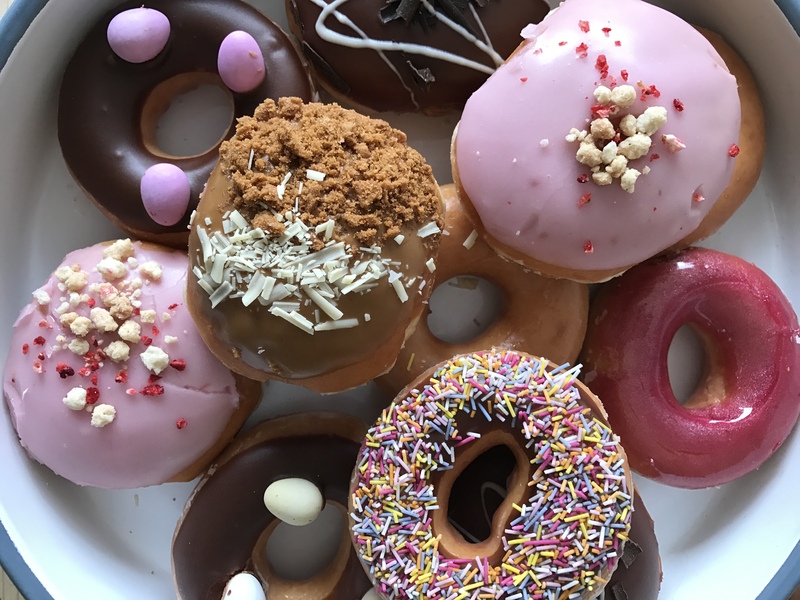 Your Instagram belongs to you and its time to reclaim full control – let’s ditch the fear of not fitting in and bring back the joy of standing out and capturing and sharing random moments of life that feel good and make YOU feel happy. Even if we use this as an experiment to have some fun, it’ll be worth it. Right, are you ready? Let’s do this! 14 doable days and 14 everyday prompts to free up your feed for a fortnight or forever if you really enjoy yourself! ; ) I hope you’ll be joining me in this challenge to take your insta in a new direction! Eeeek, I can’t wait to see what you get up to! Please share the prompts on your feeds and social media channels and encourage as many people as possible to join in and break free! 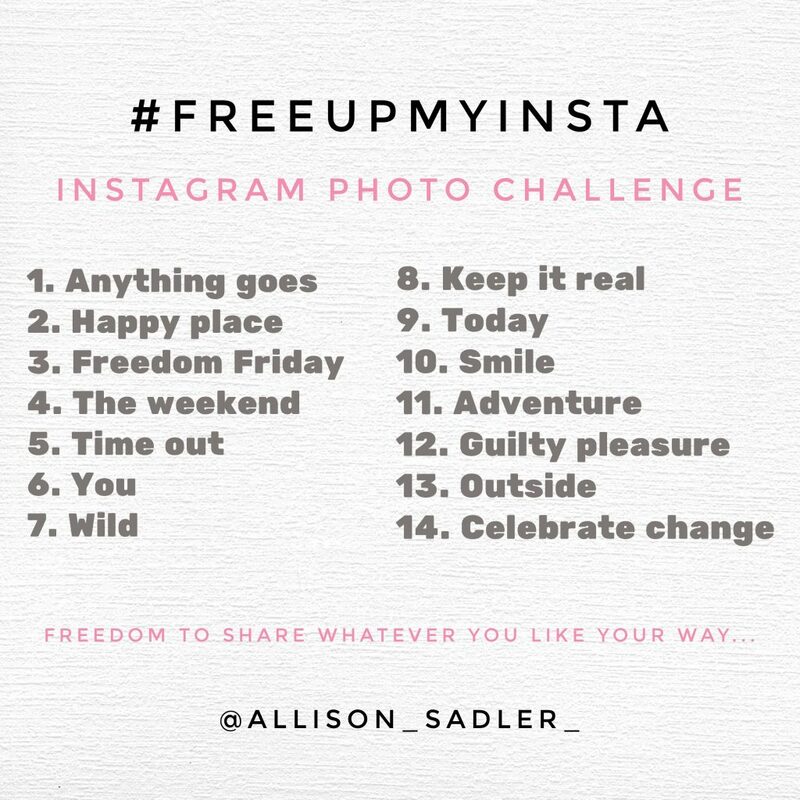 The #freeupmyinsta challenge starts Wednesday 5th July! P.S I was soooooo tempted to use the hashtag #freedomfromthepeonies! teehee ; ) maybe next time.